Fall Scarves for Women 11" x 60"
Music Note Scarf 11" x 60"
Creative natural geology silk neck ties are patterned after sedimentary rocks. 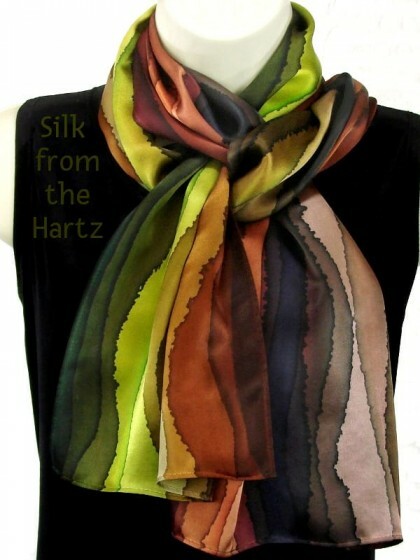 Shades of browns and greens will go nicely with earth tone or neutral suits and shirts. 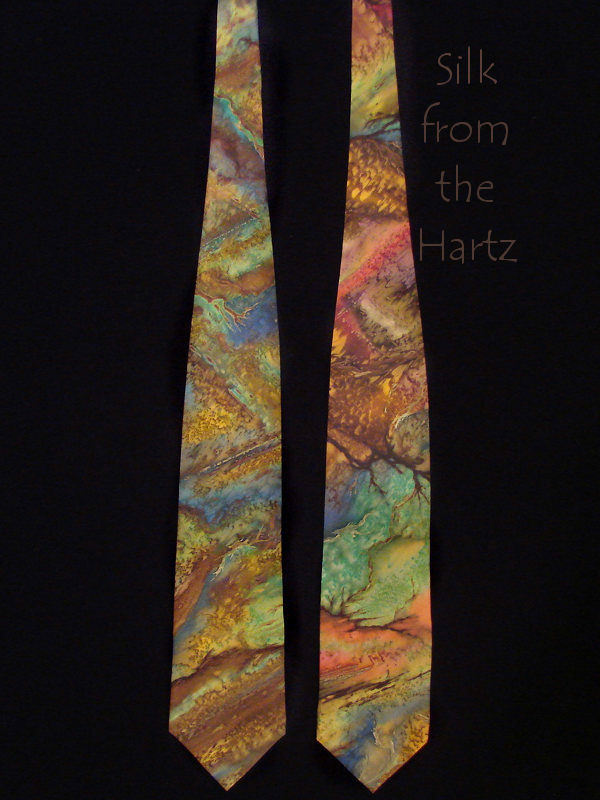 Pattern and colors will vary, as each unique tie is hand painted using colored resists and dyes by Pacific Northwest silk artist Warren Hartz. Shipping: $4 First Class Mail, $8 Priority - Any size order, within the US. 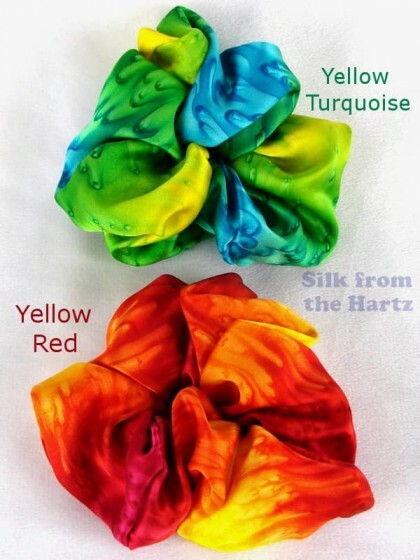 Gymnastics Scrunchies for Hair Made of soft silk satin hand dyed in the US with beautiful bright colors. O.. 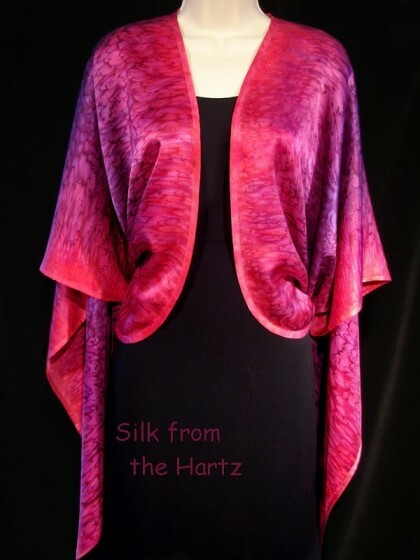 Bright Rich Colors Stand out in classic elegance with artistic hand dyed silk satin wrap, for travel, business, .. 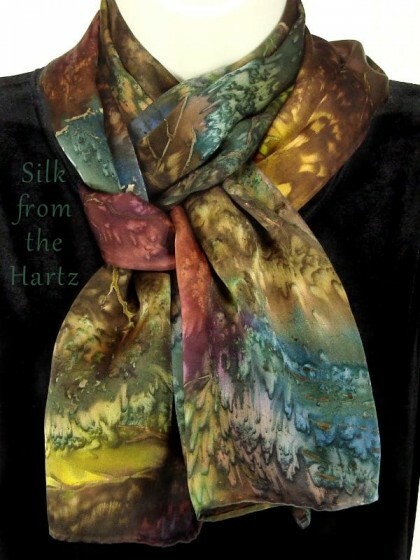 Unique Hand Painted Design Creative royal blue and turquoise silk men's necktie hand painted with unique stripe ..
Fall Fashion Colors 11" x 60" Autumn color silk scarf design created from natural stone patterns seen in sedimen..
Women's Designer Silk Neck Scarves In beautiful earth tone fall colors - browns, greens, peach and denim - thes.. 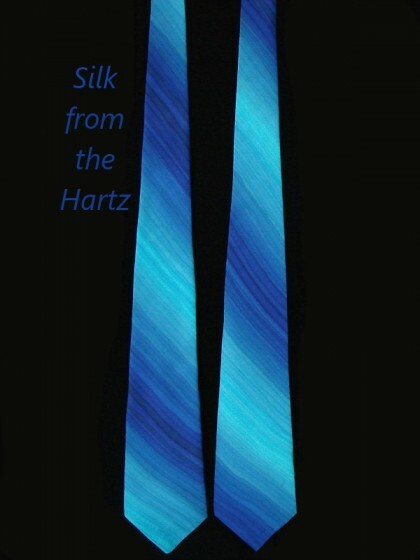 Copyright © 2018, Silk from the Hartz, All Rights Reserved.